Our Bespoke Access Platforms are suitable for difficult to reach areas such as access to machinery, warehouse racking, maintenance of vehicles or trains, welding or plastering; our platforms can be designed to suit virtually any requirement. 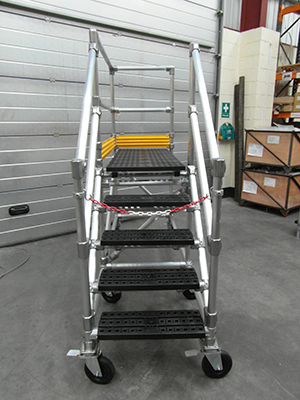 Kee Safety's access platforms are custom built and can be designed up to 3m in height. When higher access is required, the platform is constructed with the addition of an extra support arm. Bespoke Access Platforms offered by Kee Safety are modular in design and utilise either KEE LITE aluminium or KEE KLAMP cast iron fittings to provide an extremely secure, robust, corrosion resistant access platform. Using off the shelf fittings also allows the platforms to be delivered and constructed quickly and easily, with minimal disruption on-site. Each of our bespoke platforms is designed to suit a specific application and is designed in accordance with the relevant criteria from EN 1004:2004 or BS 1139-6:2005 or PAS 250. A CAD drawing is supplied with each quotation to allow customers to visualise our proposal. 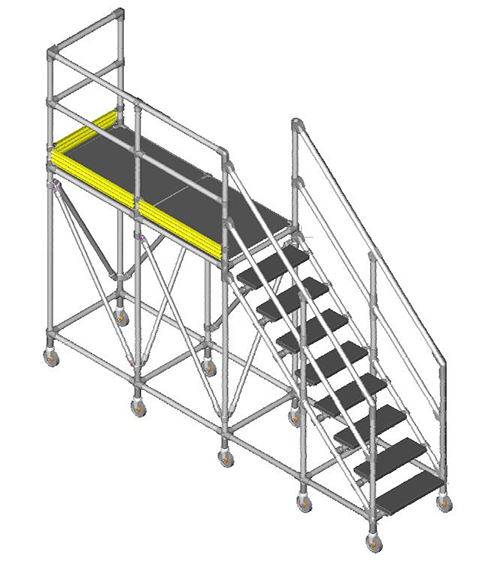 All Kee Safety’s bespoke access platforms are delivered with drawings to clearly show how to construct the platform. 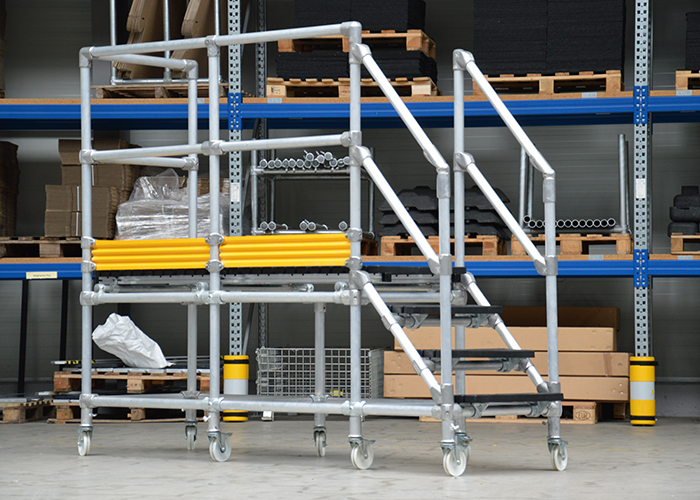 Small platforms can be delivered fully assembled but will need checking before use. Larger platforms are delivered as loose parts and will be assembled on site by Kee Safety’s installers.